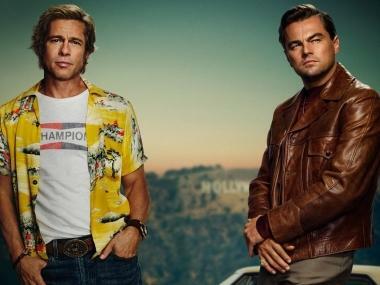 Quentin Tarantino’s upcoming film Once Upon A Time in Hollywood’s poster release has left some fans puzzled while others have even ridiculed the promotional image. Ever since Sony pictures released the first official movie poster for Tarantino’s highly-anticipated film, the social media reactions have ranged from sharing GIFs and memes, while some also calling it Photoshopped. The poster of Tarantino's ninth film, starring Brad Pitt and Leonardo DiCaprio in lead roles, shows them standing in front of a yellow car and a blurred Hollywood sign at the backdrop. The aesthetic takes you back in the time to the 1960's. Fans who had huge expectations from the posters of the director’s smash hit films like Pulp Fiction and Kill Bill seemed disappointed. One user even compared the film’s poster to rom-com hit How to Lose a Guy in 10 days. The ensemble cast of Once Upon a Time In Hollywood includes Margot Robbie, Al Pacino, Emile Hirsch, Damian Lewis, Bruce Dern, Dakota Fanning, Lena Dunham, James Marsden, Scoot McNairy, Timothy Olyphant, Tim Roth, Michael Madsen, James Remar, Brenda Vaccaro, and Kurt Russell. Luke Perry, who died on 4 March, made his final appearance in the movie. 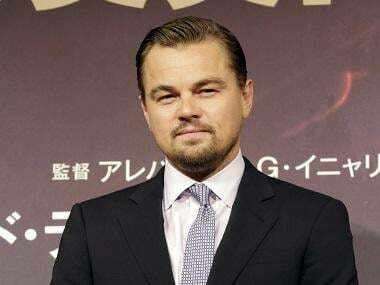 Tarantino writes, directs, and produces Once Upon A Time in Hollywood, which is slated to release on 26 July.